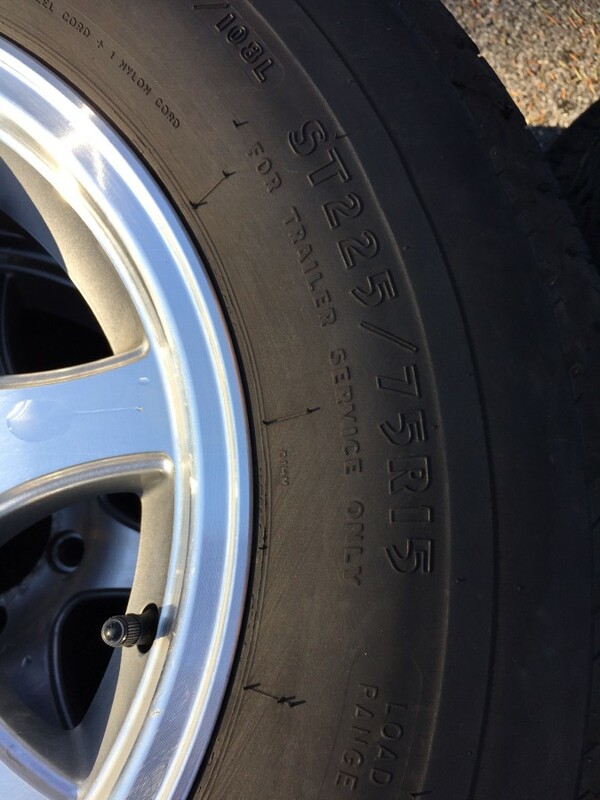 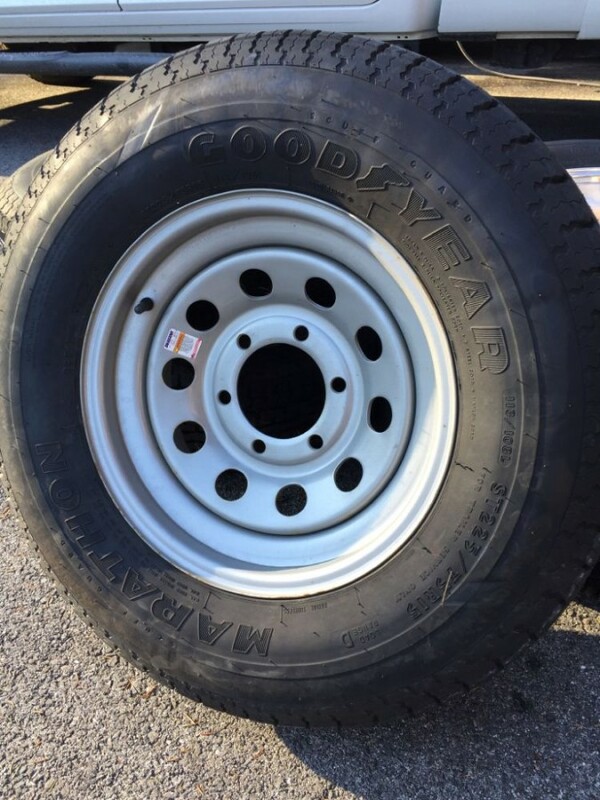 Four 15-inch Sendel wheels with GYM tires (ST225/75R15) with approximately 15K to 20K miles. 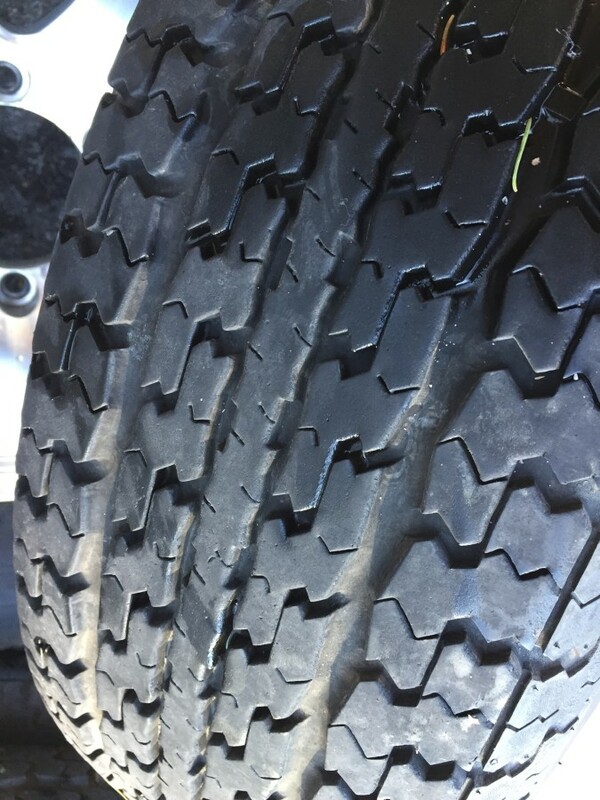 These came from the factory on my 2016 26U Flying Cloud. 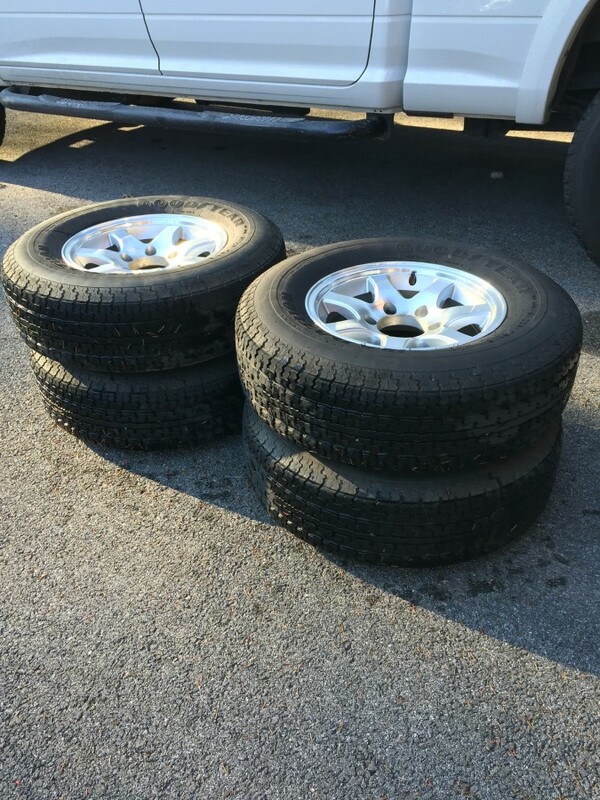 I’m alsking $80 per wheel and tire. 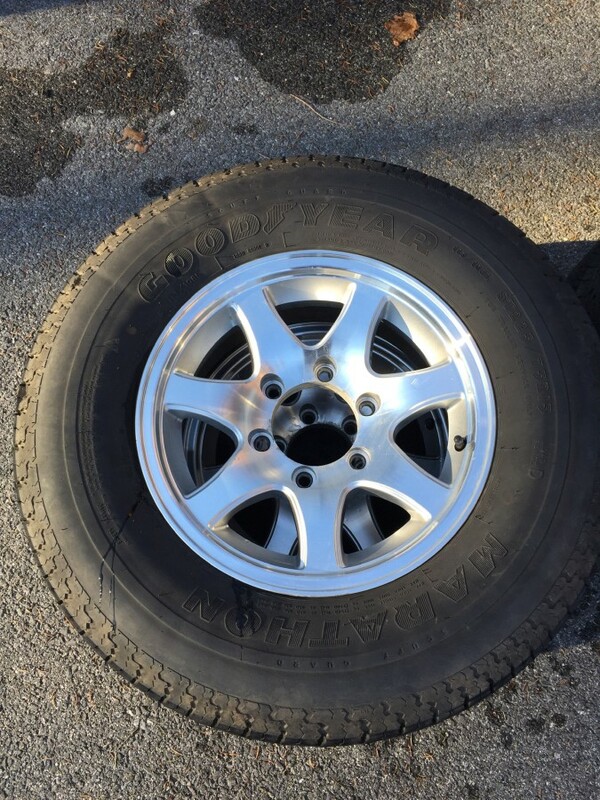 I also have the original spare tire and rim for sale for $40.